We normally think of Budgeting in the context of our own personal finances. However, this is an important skill in the workplace as well. Why? because all businesses have a budget. noun: An estimate of income and expenditure for a set period of time. verb: Allow or provide for in a budget. We are more concerned with the verb however, in order to do this, you first need to understand what a Budget is and why it is important to your employer (and why it is important to you). If you are a business owner or in management ‘a budget’ should be a familiar routine and you may already be directly responsible for preparing a budget. However, understanding a budget and how it affects you is important for everyone. it helps you plan to reach goals and targets (both corporate and personal). it helps manage your cashflow by monitoring your expenses and income. it helps you plan your finances in advance. it helps you prioritise spending. if you charge by the hour it helps you assess your fees. it will help identify wasteful expenditure. it helps allocate funds to specific projects. it helps outline the needs of the business and its departments. it helps plan ahead for future growth. it helps assess funds for investment e.g. in training, in technology, in new staff, in equipment etc. Action Point: Consider why these are important to you in your current role and how they affect your job. If you are going for a promotion consider why they are important in that role as well. Whatever your role you need to be able to budget and understand your corporate budget. While you might not use ‘budgeting skills’ practically in your day-to-day job an understanding of where you fit in the circle of life, your ability to incorporate the corporate budget into your business development plan, your ability to be mindful of budgets when working on projects or charging for work (or doing work if you do fixed fee work) is all part of succeeding at your job. How can you show you have this skill? Unless you are in a finance team, accounts or a manager it is unlikely to be a specific requirement of your job. For the rest of you your ability to budget can be demonstrated while to are giving examples of your other skills such as time-management (ability to complete things on time and on budget), problem-solving, efficiency and improving working processes. Do you have any responsibility for finances? Think about how you can incorporate some numbers into your routine – whether this is managing your own billing/invoices, preparing a budget for your team, helping to manage your clients finances or offering to assist someone else so you can learn more about the budgeting process. Action Point: Add TWO specific actions to your career development plan that you can undertake in the next 12 months to boost your knowledge of budgeting and financial management. If you are struggling to find something to do to help boost this skill – make it personal write your own budget for your personal finances. Make budgeting less scary by learning the terminology. 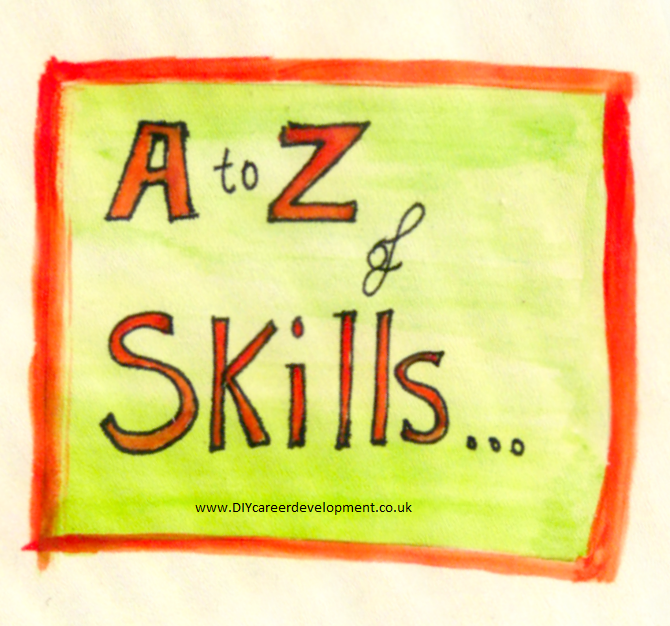 This entry was posted in A to Z of Skills Development and tagged Skills Development. Bookmark the permalink.